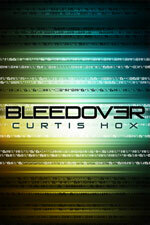 As part of the ‘Bleedover Blog Tour’ I will be giving away a copy of the eBook to one lucky winner. You can enter here. The author is also giving away a $50 Gift card to one lucky winner who will be chosen from across the blog tour. You can enter here. Today, I interview author Curtis Hox today. I have also reviewed the book here. The book is a great amalgamation of both my favourite genres: Fantasy and SF. Technically it’s science fantasy. It uses tropes from both genres quite liberally. But during our soft launch we experimented with this terminology and had trouble with it. People on the boards didn’t seem that interested in the genre, which makes sense because it’s a narrow sub genre. So, we’re calling it science fiction and contemporary fantasy. Thank you everyone who entered the giveaway! The giveaway is now closed and the winner will be contacted by the author! As part of the ‘Bleedover Blog Tour’ I will be giving away a copy of the eBook to one lucky winner. The author is also giving away a $50 Gift card to one lucky winner who will be chosen from across the blog tour. The link to enter this giveaway is available below the entry form. A maverick professor’s quest to find answers. She’s alone, though, because the science establishment stands in her way. When trusted graduate students generate an apple out of thin air in a controversial bleedover project, the world takes notice. So does an old enemy thirsty for revenge, Corbin Lyell, who manipulates bleedover to hurtle monstrosities from the world of his pulp heroes, H.P. Lovecraft and R.E. Howard. Dr. Sterling must stop Lyell’s apocalyptic plans, but with enemies on all sides undermining her discovery, can she succeed? Both the main characters subscribe to different views of what Bleedover is, how and for what it should be harnessed. Both of them live completely different lives. Dr Harriet Sterling is a tenured college professor who lives in her basement office, while Corbin Lyell is the head of a large conglomerate. This is a story about each trying to prove their worldview and their methodologies right. Their ‘war’ ends up hurting a number of people who are caught in the middle, with people ending up dead. The stark difference in attitudes of Dr Sterling and Corbin Lyell is beautifully portrayed. Dr Sterling plays by the rules mostly and is unwilling to hurt anyone in the process of proving her point. On the other end of the spectrum, Corbin Lyell is ready to do anything to prove himself right, including murders. He is so obsessed with beating Dr Sterling, that he ignores all risks and ends up paying dearly for it in the end.